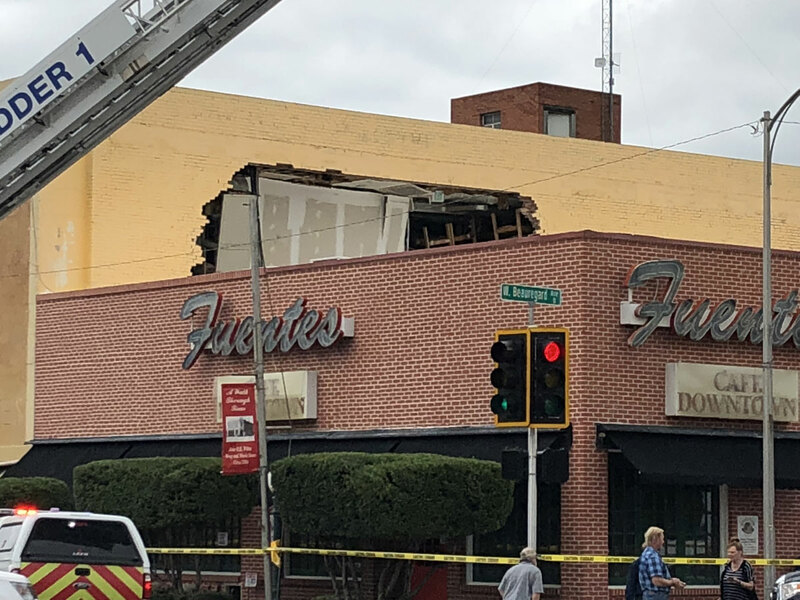 SAN ANGELO, TX -- Fuentes Cafe Downtown has been working vigilantly to reopen after the roof collapsed at the popular downtown restaurant. We stopped in with John Fuentes Monday to see how their rebuild is going. Emergency personnel responded to the collapse mid-morning Sept. 9. The cause of the collapse may have been a roof collapse in The Man Store next door because of the heavy rainfall. Fuentes, owner of Fuentes Cafe Downtown said he and his staff were cooking food for a meeting with the City of San Angelo at the time of the collapse. Fuentes says they are starting the demolition phase and are going to reopen with a bigger bar and a "patio style front". Fuentes also adds it is undetermined when they will open but that they are probably only a couple of months out. This means only a couple of months until you can stop by for some chips and queso and a cold margarita.